Nowadays Filipinos make smarter food choices when shopping. 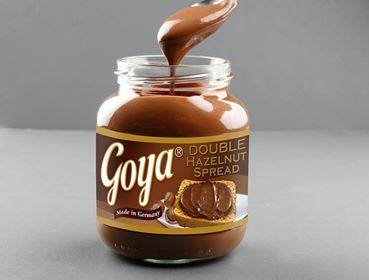 In choosing the perfect spreads, there’s nothing like our favorite local brand Goya, who for the past several years has step up by serving world-class quality chocolate spreads that won’t break the bank. Being a smart shopper is a part of the Pinoy consumer’s DNA. Yes, we love good food, but if there is one thing that the rising prices of goods have taught us then and now, it is how to be discerning of what we put in our grocery baskets. A study conducted by Kantar Worldpanel shows that there has been a shift in our shopping priorities in 2017. According to the results, the rising prices of goods have caused Pinoys to shift their choices of goods to fit their financial stability.  A Nielsen report supports this saying that Filipino buyers are among the most socially conscious shoppers in the world--meaning we don’t just grab the first thing we see on the shelves and do actual research on our choice of brands. Fortunately, with Pinoys being Pinoys, soaring price tags are not enough to shake our loyalty to enjoying good food that we stock on our pantry. Resourceful as we are, we always find ways to get the best--and thanks to brands like Goya, it has become easier for us to get access to quality treats without breaking the bank. The local brand has built a reputation for itself in creating chocolate products that are affordable, yet can match up with international sweets. Always the innovator, their latest product, the Double Hazelnut spread, promises to provide double the enjoyment for those who love indulgent hazelnut spreads. With double the amount of rich hazelnut goodness, this Germany-made goodness is a true salvation to chocolate lovers. Spread it on your waffle, use it as a regular spread, or eat it straight out of the bottle. With its friendly price point, even the most discerning and price-conscious consumers surely won’t feel guilty enjoying this treat. Smart shoppers need smart choices, and Goya has definitely provided it with its range of products. Once again, the brand has proven that you can enjoy the food lifestyle that you want--double of it even!--without going out of your budget. The Goya Double Hazelnut Spread, which only retails for P154 SRP for a 350g is a whopping half the price of other popular spread brand in the market. It is sure to become a practical favorite of kids, mothers, cooks, and even the regular, chocolate-loving Pinoy. It’s also available in 750g for only P297 SRP. Other Goya chocolate spreads variants are Choco Hazelnut, Choco Hazelnut and Milk and Rich Choco which are available in 400g at P139 SRP. Make sureto get yours now in the nearest supermarket, or convenience store near you.